As you can tell from my last outfit post, you can probably tell that I'm loving simple cutout details right now. It adds a fun element to otherwise casual pieces. Whether it's cutouts in the front, the sides or the back, I have an entire wishlist full of pieces featuring this current trend. What are your favorite trends right now? I love that red romper. Obsessed with that pink dress! 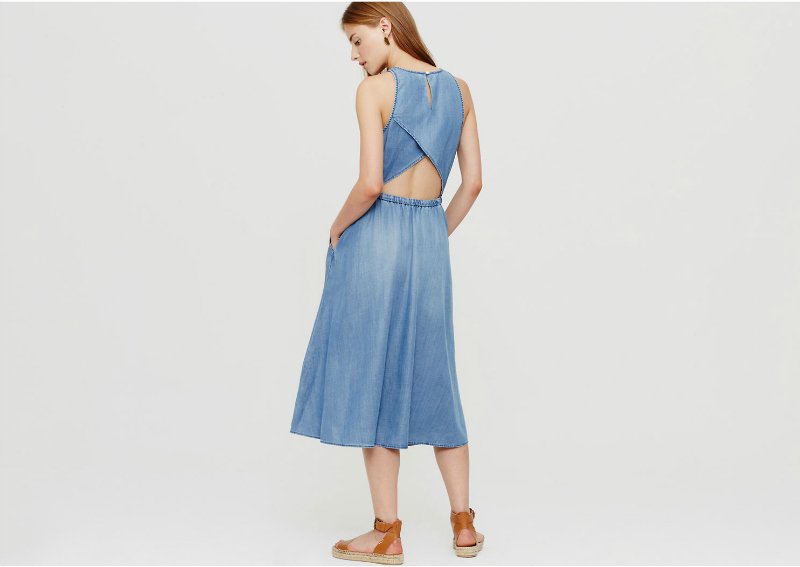 That chambray dress with the cutout back is so cute! I'm loving that trend, too. Oh that denim dress is so pretty! It's feminine and edgy - love it! These are such gorgeous finds!